The Hi-Opt I (also known as High Optimum) card counting system possesses the advanced technique for card counters. It provides the player with more odds to win and more complicated mechanism to master. Due to its complex structure the Hi-Opt system is called the Einstein count method sometimes. 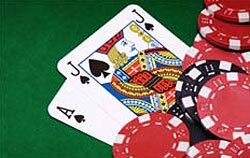 But practically it has not so much differentiations with Hi-Lo card counting method which is considered as a basic one. The Hi-Opt I card counting system is balanced, thus if you managed to count all the cards in the deck, then you would end at the point you've started - it's nil. As it already has been said the given efficient method possesses the highest rates of odds and provides the player with more chances for winning. But still the choice of the most appropriate method among the all card counting systems is based on personal preferences. Firstly let's get acquainted with the Hi-Opt I card counting system table. The Hi-Opt I is also based on subtracting and adding the number 1, thus the simple mathematics is used. To operate this technique correctly you'll need to memorize the counts of all the card values given above. As we see the given method possesses more middle cards with 0 count and no influence the procedure of counting at all. These cards are 7's, 8's, 9's, plus 2's and Aces. The last two values are found in the middle cards - is the main difference in comparison with other card counting systems. The cards 3, 4, 5 and 6 form the small cards group with count +1. And the 10's, Jacks, Queens and Kings are reckoned among the big cards with count -1. There are some rule variations concerning the Ace tacks following in the High Optimum card counting system. E.g. you don't have to keep the tracks of Aces while your card count maneuvers but there are still some changes in basic blackjack strategy appear depending on how many Aces have been dealt. The most of mature players use such things as fingers, feet or chips to keep the tracks of Aces in this case. As we see the Hi-Opt I card counting system provides the player with more chances for winning but still has more special features to memorize and master.